SAVE THE DATE!! 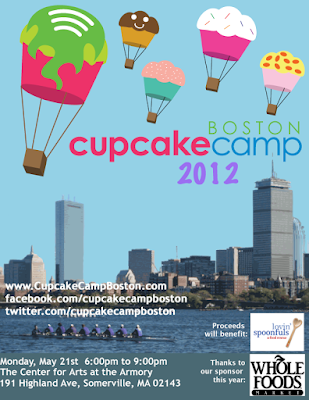 CupcakeCamp Boston 2012 is May 21st at Arts at the Armory. We are thrilled to welcome Whole Foods as our event sponsor this year. As always, the event will feature thousands of cupcakes from both professional and amateur bakers. If you plan to bring cupcakes, you must register in advance. Professional bakers and bakeries can register here. Amateur bakers can register here.